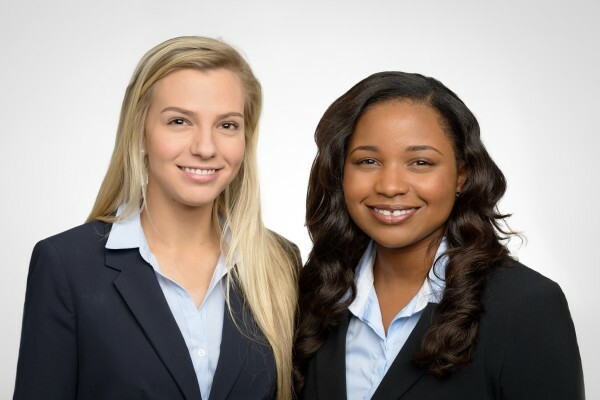 Landaas & Company has a proud tradition of employing college students both to support the professional staff at the firm and to share the experience of delivering customer-focused independent investment advice. Both of our 2016 summer interns are from Marquette University. Katie is a senior at Marquette, where she is on the board of Women in Business, a club that organizes networking and volunteer activities. Among the group’s projects has been packaging excess dining hall food to deliver to homeless people. Katie acknowledged the integrity needed to always act in clients’ best interests and to prioritize the needs of others when managing their assets. When she can, Katie enjoys playing tennis. She was captain of her team at Oconomowoc High School. “This is a sport that enables me to spend time outdoors with my friends and family,” she says. Katie is majoring in finance. Her past work experience includes interning as an account representative at MilwaukeeJobs.com and serving as lead barista at Whelan’s Coffee & Ice Cream, in Oconomowoc. Jasmine also is a senior at Marquette. She plans to graduate in December with majors in accounting and international business. She has a minor in Spanish, having studied a semester in Spain. She is a student member of the National Association of Black Accountants Milwaukee Chapter. Jasmine graduated from Milwaukee’s Rufus King High School, where she was first-chair violist in the orchestra and won several awards at the district and state levels from the Wisconsin School Music Association. Jasmine helped lead the business club at Rufus King and became interested in accounting through the Young Entrepreneurial Scholars (YES) Internship Program. By her freshman year at Marquette, Jasmine earned three internships in the fields of public accounting, banking and industry. In her spare time, she likes to travel, watch movies and be with her family and friends. Her internship at Landaas & Company is letting Jasmine learn more about investing.